God Schooling: How God Intended Children to Learn, was my summer reading book. Twice a year I try to read a book about homeschooling that gets me psyched back up to start. 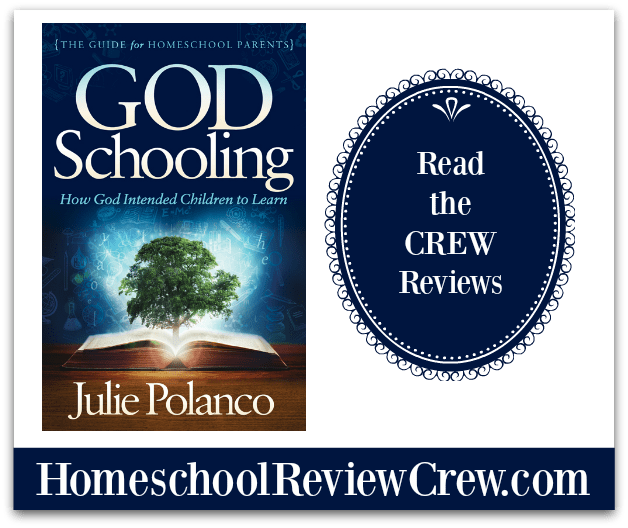 God Schooling is Julie Polanco’s newest book and if you want to be challenged in your thinking and possibly dispel some myths that sometimes hold us back, then I would encourage you to grab her book and see what she has to say. This is a quick read at only 215 pages. I will admit, about 30 pages into the book I wasn’t really sold. Polanco is an unschooler. As a general rule (and please don’t hate me) I don’t really buy into the unschooling philosophy. In my personal opinion I feel like unschooling has to be intentional and so many homeschooling moms struggle with consistency and follow through. (fingers pointed right at myself as I say this) And what I mean when I say intentional is that if you aren’t going to have a formal curriculum, you need to intentionally create or seek out opportunities that will encourage your children to use or engage in the necessary skills for beyond high school and on to life. I know another family that unschools, her son is 16 and can’t write a paper. He hasn’t started high school math, but is super friendly and a hard worker. If her son plans to go to a trade school when he graduates or decides to head straight into the workforce he will probably be okay… probably. Julie touches on both of these kinds of situations in her book, and challenges skeptics like me to focus more on how God intended our children to learn. Through a plethora of examples and scripture she takes her readers through several chapters where she discusses intrinsic and extrinsic motivation and why it’s a bad idea to offer rewards/bribes for our children to do their work. She places children in three categories: Children under 8, Children 8-12 and Teens. Within each of these categories she shares what is developmentally appropriate and gives examples of what works. She does this through real research and scripturally sound doctrine. Throughout the book she gives practical tips that anyone could use in their schooling. I enjoyed the spreading the banquet chapter where she discusses different types of learners and what to do with each of them. -Children under 8 need lots of playtime. And lots of playtime with us. -All children need lots of interaction with us. -Don’t be afraid to give your children chores and to teach them to work hard. -Give your children opportunities and experiences and have high expectations for them. I’m still not sold on this educational approach for my family. But I believe it absolutely can and does work for many families. Although unschooling isn’t where my heart leads, God Schooling gave me a desire to be more present with my children, to encourage them to explore their passions more and to challenge them beyond what they think they are capable of. It also reminded me that despite everything, God is the one that holds our children’s future in his hands and not my choice of curriculum. Julie Polanco’s book e-book is currently half off right now! It’s the perfect time to read it. Find Julie online on Facebook and Pinterest. 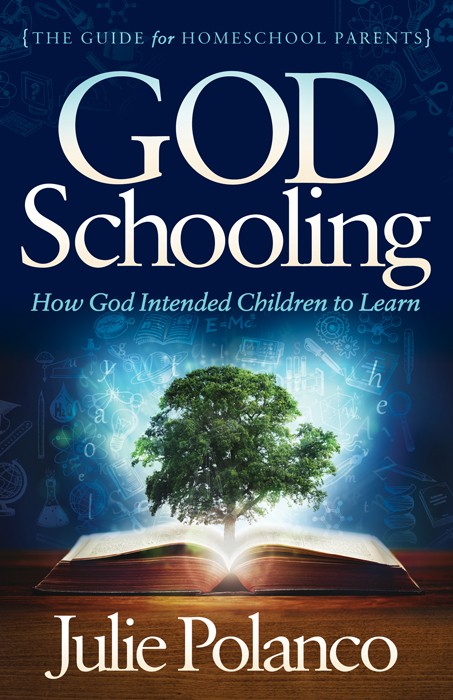 Read what other reviewers thought about God Schooling, by clicking the image below.